In exquisite fusion with an extraordinary natural environment, the Hotel-spa La Réserve located in Ramatuelle, France melts into the landscape, the Mediterranean Sea as the unique horizon. Under the talented eye of world-renowned architect and designer Jean-Michel Wilmotte, the 1970’s building underwent a total metamorphosis. This entry was posted in bathroom, bedroom, hotel, outdoor, pool, suite, terrace and tagged bathroom, bedroom, France, hotel, Hotel La Réserve, house idea, houseidea, Jean-Michel Wilmotte, La Réserve, luxury, myhouseidea, outdoor, pool, Ramatuelle, relax, terrace, travel on August 19, 2014 by admin. Stone Respect by Dom Arquitectura. Stone Respect is a house rehabilitation designed by Dom Arquitectura and is located in Noutigos, Carnota, A Coruña, Spain. 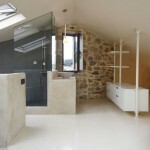 This entry was posted in apartments, attic, bathroom, bedroom, house, kitchen, living, loft, suite and tagged A Coruña, bathroom, bedroom, Carnota, Dom Arquitectura, home, house, house idea, house rehabilitation, houseidea, idea, kitchen, living, myhouseidea, Noutigos, Spain, Stone Respect, Stone walls on January 5, 2014 by admin. Palazzo Caló by esseelle associati. Palazzo Caló is a restoration of a building of historical and artistic interest by esseelle associati studio di architettura in 2012 located in the historical center of Bari, Italy. This entry was posted in bathroom, bedroom, hotel, house, kitchen, living, suite and tagged Bari, bedroom, camera, esseelle associati studio di architettura, Glass Floors, hotel, house idea, houseidea, Italy, kitchen, living, myhouseidea, Palazzo Caló, Stone walls, travel on October 28, 2013 by admin. 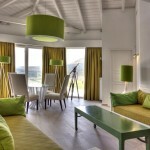 Argos Hotel In Cappadocia, Suite With Indoor Private Pool. This entry was posted in bedroom, house, suite and tagged architect, architecture, architettura, arredamento, arredare, bedroom, camera, casa, chalet, design, home, hotel, house, houseidea, idea, infinity, luxury, piscina, pool, relax, resort, villa on May 8, 2012 by admin. 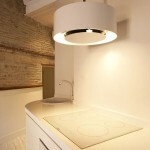 A 410 sq ft. (38 sq m) suite in the heart of the historical quarter of Trastevere. The designers, Sara Cimarelli and Giorgio Opolka, partners in the Archifacturing office, have designed and created a solution for exploiting the available space to the full, enhancing the perception of permeability amongst the environments, while maintaining a clear division of the functional spaces. 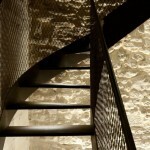 This entry was posted in suite and tagged architect, architecture, architettura, arredamento, arredare, attic, bathroom, bedroom, camera, casa, cucina, design, home, house, houseidea, idea, Italy, kitchen, living, loft, luxury, openspace, Rome, suite on March 17, 2012 by admin.